James Emory Hedgepeth, 76, of Woodstock died November 2, 2017. Emory is survived by his wife Martha Cobb Hedgepeth; daughters, Courtney Hedgepeth DuVall and Whitney Lynn Hedgepeth; son-in-law Mark Luther; grandchildren, Emory Chase DuVall, Madison Shaye DuVall, Dakota Lynn Luther, Sage Marshall Luther, Payton Quinn Luther; and several nieces and nephews. A memorial service is planned for Sat. Nov. 11th at 3 p.m. At Bascomb United Methodist Church, Woodstock, Ga. 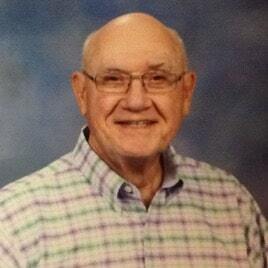 In lieu of flowers, donations can be made to Bascomb United Methodist Church. With love, sympathy, and prayers from the Batlans and Westlake United Methodist Church, friends of Whitney, Luther, Dakota, Sage, and Payton. Healgrief has a memorial to share with you. https://healgrief.org/james-emory-hedgepeth/ We invite you to express condolences, share special memories and photos and light virtual candles to honor and celebrate the life of our loved one. We also invite you to share this with others who may want to be notified as well. You may do so by sharing the link or by clicking the “Share this Memorial” button from within the memorial itself.